TURIN – Fiat Group Automobiles S.p.A. expects the launch of four new vehicles to stop a sales decline and help it recoup lost market share in Europe starting in the second half. The arrival of the new vehicles, however, will not end the Italian automaker's financial losses in Europe, analysts say. Fiat will start the model offensive with the third-generation Lancia Ypsilon subcompact and the Fiat Freemont, a rebadged Dodge Journey large SUV. Sales of both start in June. The European versions of the new Chrysler 300 large sedan and an updated Voyager large minivan go on sale wearing the Lancia badge in most of Europe starting in the third quarter. The two vehicles will be distributed by Fiat but sold as Chryslers in the UK and Ireland, where the Lancia brand is not sold. All four vehicles will be unveiled at the Geneva auto show in March. said Stuart Pearson, a London-based auto analyst at Morgan Stanley. 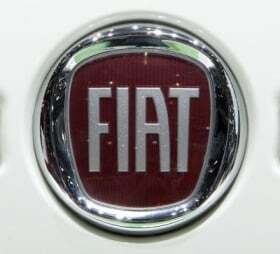 Fiat was one of the automakers that benefited most from the scrapping schemes introduced in Europe's largest markets in 2009 to prop up sales in the midst of the global financial crisis, but the company saw its sales tumble last year as the government-sponsored discounts ended. Even if the new additions to Fiat's lineup succeed, it is unlikely they will be able to stop the company from losing money in Europe. “Fiat's overcapacity in Italy and lack of new product will likely mean heavy losses in Europe continue into 2011,” Morgan Stanley's Pearson said. Max Warburton, an auto analyst at Bernstein Research in London, believes that Fiat Auto lost almost 800 million euros ($1.04 million) in Europe in 2010, with Brazil making a profit of 1.4 billion euros. While Morgan Stanley's Pearson thinks that Fiat's restructuring of its production plants in Italy should help the company to breakeven in Europe by 2013, Warburton is less optimistic. “With Fiat's small car focus and minimal gross margins, the problems are more complex and intractable than just excess capacity and inflexible labor,” Warburton said. While it will struggle in Europe, some analysts expect Fiat to have a solid year elsewhere. “Strong model cycle and top market position in Brazil should protect Fiat margins, with mid-term continued growth as the company adds a third South American plant in Pernambuco, Brazil,” Kristina Church, an auto analysts at Barclays Capital in London, wrote in a note to investors last month. Bernstein Research's Warburton, however, is concerned that Fiat can no longer count on success in places such as Brazil – where it is losing market share – to overcome troubles in Europe. He said that Brazilian car sales are slowing and Fiat will face pressure to lower prices, leading to reduced margins, to battle new entrants such as Hyundai Motor Co. and Renault SA. It has been feast of famine for Fiat's European dealers for the last two years. In 2009, Fiat's European sales grew 6.3 percent to 1.25 million units in a market that slipped 1.6 percent to 14.48 million units, according to industry association ACEA. The incentives, which boosted sales of minicars and subcompacts, Fiat's traditional strength, increased the Italian automaker's 2009 European market share to 8.7 percent from 8 percent in 2008. Fiat's sales surge stopped as the incentive programs ended. Through 11 months of 2010, Fiat's European sales were down 17.2 percent to 954,650 units, a decline three times worse than that of the overall European market's 5.7 percent slide to 12.35 million units. In November 2010, Fiat's European market share declined to 6.8 percent compared with the same period last year. After 11 months, the automakers' share was 7.7 percent, a number that would be even worse if not for residual positive effects in the first quarter from the conclusion of key scrapping programs. Another reason for Fiat's difficult 2010 in Europe was a product drought, a problem that the automaker is trying to help dealers in its home market cope with for another six months. “The lack of new models will make the first half a tough period for Fiat dealers, but we have agreed with Fiat on a new system of margins and bonuses that should permit us get through our most difficult year,” said Filippo Pavan Bernacchi, president of Federauto, the association of Italian dealers of Fiat Italian dealer association, ACIF. Bernacchi said that a new net-pricing strategy introduced by new Fiat brand CEO Andrea Formica would help the brand to offer clear, competitive transaction prices.